How do you get more website traffic, social shares, leads, and visibility in Google? The popular answer you'll hear from marketing experts is: "create quality content." What is "quality content," really? There is an epidemic failure within marketing to understand what actually defines quality content. You'll encounter two types of marketers. The first group of marketers says: "I created high-quality content, I can't believe it's not ranking No. 1 on Google and getting tons of social shares." Well, I know why it's not ranking or getting shared. It's because many marketers define "quality content" as content that they created or helped to plan and create. We're all biased. 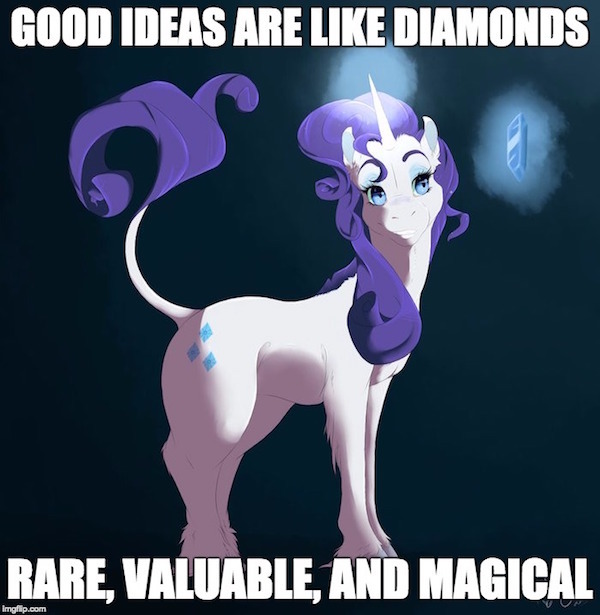 We think all of our ideas are diamonds - even the crappy ones. The second group of marketers, when asked what defines quality content, will start listing off several attributes. Quality Content Isn't Defined by Attributes! In the movie "Moneyball," Oakland A's General Manager Billy Beane (played by Brad Pitt) finds himself in a frustrating meeting where he hears his scouts talking about potential free agents to add to the A's lineup. Those scouts evaluate players based on their athleticism, size, and speed. They also speak glowingly about one player because he's clean cut, has a good face and a good jaw and negatively about one player with an ugly girlfriend who is a "6" at best (because that means the player has no confidence). Beane asks his scouts an important question: "Can he hit?" After being told the player has a "beautiful swing" and that when he connects there's a lot of "pop", Beane asks a follow-up question. "If he's a good hitter, why doesn't he hit good?" An annoyed Beane realizes they're talking about "good body nonsense" as if they're selling jeans instead of trying to assemble a winning baseball squad. The same has been true of content marketers. We've been trying to define content quality as a series of technical and aesthetic attributes - how our content is structured and formatted. All of these are important. But even if your content has all eight of those attributes, it still might not become a success. Individuals, businesses, and brands are producing a ridiculously enormous amount of content every minute. But few are actually successful. So we need to ask ourselves the most important question: "If we're creating quality content, why isn't it successful?" If your content doesn't succeed does it even matter if it included lots of pretty images, had perfect spelling and grammar, or used x number of words? Quality content is successful content. Quality content achieves a goal (e.g., it drives traffic, Google search rankings, engagement, or conversions). All that matters is what you get out of your content, not how much time or money you spend creating it. Imagine you own a baseball team. You need to add a hitter to your lineup. Are you going to sign a player based on how tall or good looking he is? Or if he speaks well when he talks to the press? Or maybe how many Instagram followers he has? Of course not! 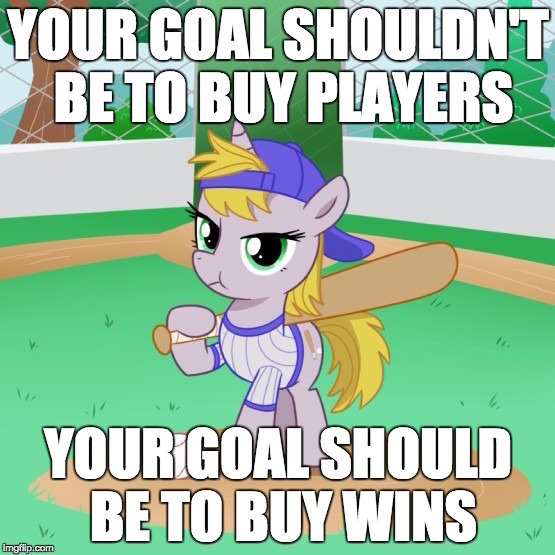 You want to get hits, runs, and wins! Performance is what matters. That's why you would look at statistics like hits, home runs, on-base percentage, etc. Anyone with a creative bone in their body will argue that content marketing isn't just about numbers. Creativity is art, after all. They say: "If content creation were just a science, then anybody could simply create quality content. Experience matters! Intuition matters! There are just certain intangibles that only creative content people can understand." No content marketer has a crystal ball. Nobody can look at a piece of content and predict its future any more accurately than I can. You can't say with 100 percent certainty, even if it is based on past experience, that a piece of content will succeed in the future. I'm always surprised when an article I worked really hard on goes nowhere and an article I didn't spend much time on becomes a huge success. John Boitnott argued here on Inc. that you should take more time to produce less content. Content is a numbers game. You need the quantity to find the quality. So produce and audition lots of ideas to find your next quality idea. Quality content doesn't come along often. 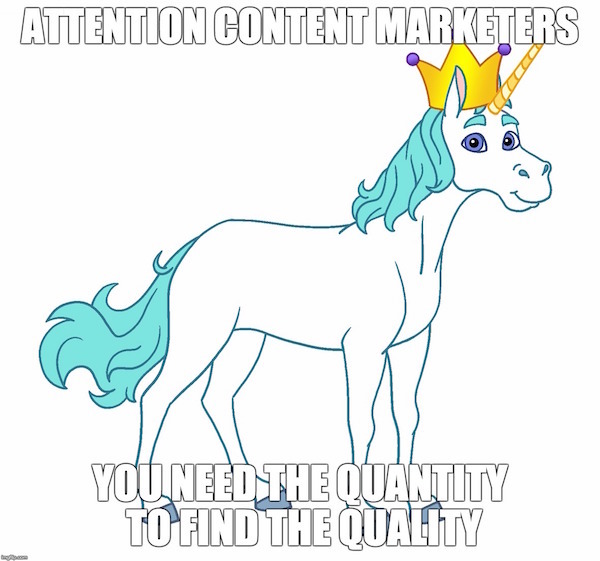 Like a magical unicorn, it's very rare to find content that performs well in SEO and PPC, generates lots of engagement on social networks, and converts like crazy. When you find a unicorn that does well in one channel, promote it on other channels. This will amplify its impact by 100x or 1,000x. Write new blog posts on the same (or a related) topic. Write guest posts on the same topic for other sites. Create social media ads to promote your unicorn content. Turn your topic into images or videos for social media content. Run webinars about the same topic to generate leads. Stop promoting donkeys. It doesn't matter how many batting attempts you give a piece of content. Stop wasting time and money marketing content that doesn't perform. Focus all your efforts on promoting your existing unicorns and creating new content to find your next unicorn. Content marketing is an unfair game. So start playing content marketing moneyball to start turning the odds in your favor.